I went to the movies on Friday in Toronto, actually Mississauga to be exact. 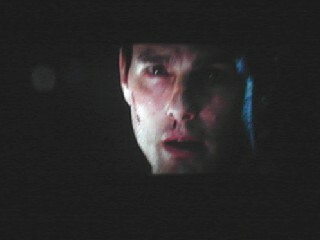 And you guessed it, I saw Mission Impossible 3. I thought it was very good and I enjoyed it a lot. 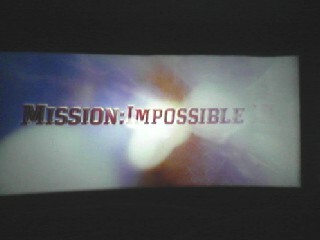 It's definitely the best of the Mission Impossible movies. Oh ya, I took these pictures with my phone camera. I had to cover the screen as it made my surrounding glow like a night light, and I kinda guessed where I had to snap. Not bad, huh!